We had to restock our NASA Velcro Straps (20mm) as the first batch sold out very quickly. Our new stock is running out quickly as well, so be in time to place your order. The NASA Velcro straps come in three colours: Brown, Beige and Grey. They come in one size, but any wrist 6.5″ and larger will be fine. 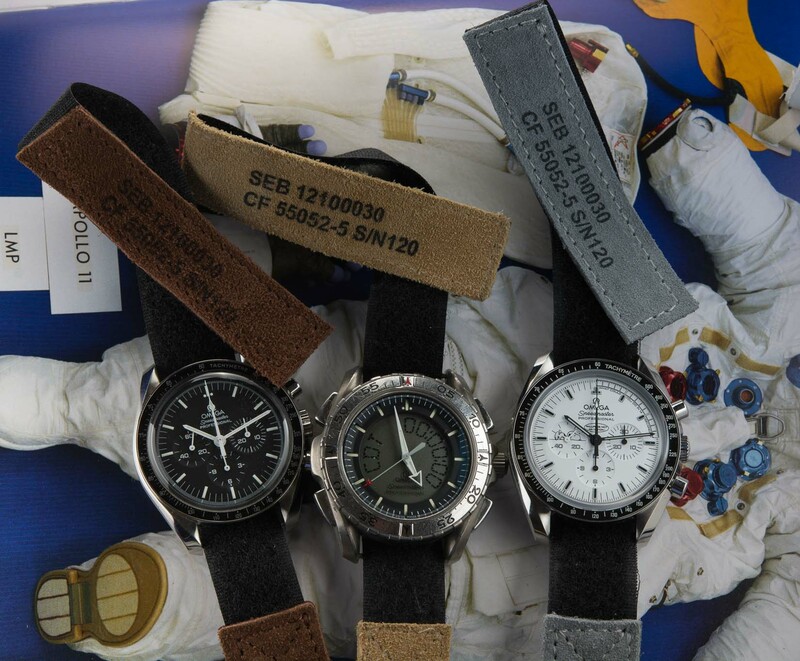 Spice up your Moonwatch, X-33 or other 20mm lug-sized Speedmaster with our NASA Velcro Strap. These straps are easy to put on your watch, just slide them under neath the 20mm pushpins and pull the strap in your desired position. You can mix and match with the various colours we are offering, see below for an example. Go directly to our ordering page for the NASA Velcro strap.